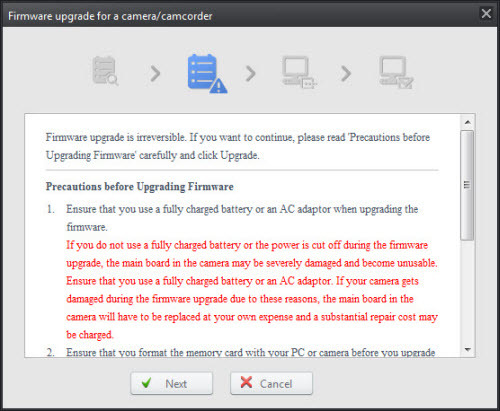 • Make sure your camera battery is fully charged, if the camera battery is not fully charged and the camera powers off during the firmware update your camera may be seriously damaged and need repair. • Before updating the firmware format the memory card in your camera, this will delete any files previously saved to your memory card. Transfer your saved content to your PC before formatting your memory. NOTE: A memory card is required in order to update the firmware. • When the firmware is downloading do not remove the camera from the computer as this can cause damage to the camera. 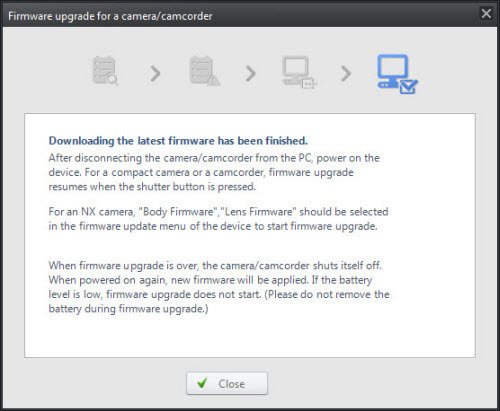 Once the firmware is downloaded and installed on your camera it is not possible to restore your firmware to an earlier version. 1. Connect your camera to the PC using the provide USB charging cable. 3. Open i-Launcher on the PC. NOTE: If i-Launcher is not installed, go to My Computer and run the iLinker.exe file to start installation. 4. 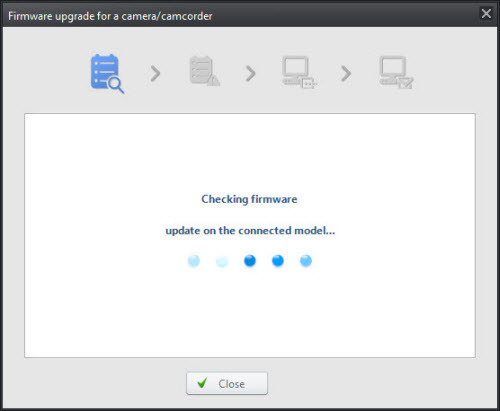 Your camera model will show in the dropdown list beside Connected Device, click Firmware Upgrader. 5. The upgrader then searches for the firmware file. 6. 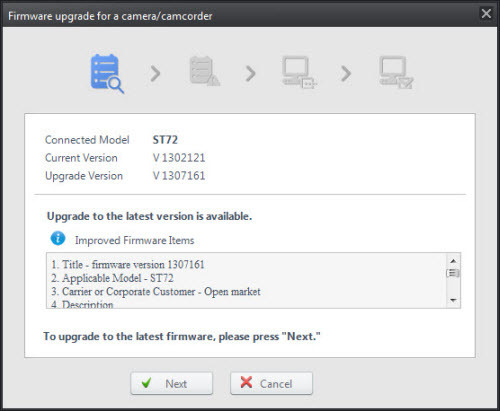 The current version and upgrade version of firmware show, along with a description of the new firmware. Click Next. 7. Precautions page shows before upgrading the firmware. Read the precautions and click Next to start the upgrade. 8. 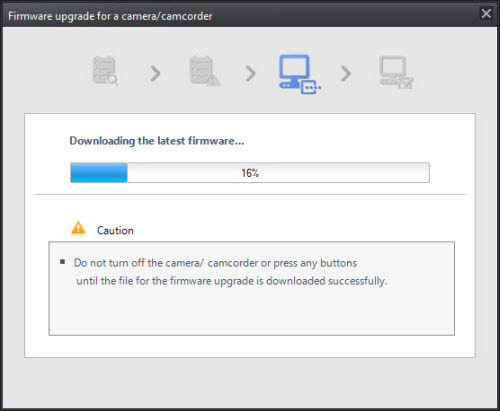 The upgrader downloads the latest firmware. 9. After downloading the latest firmware, disconnect the camera from the PC. Power the camera on and while holding the left zoom button press the playback button to start the update. Once completed the camera will power off. After the camera turns off, power it back on to resume taking photos.